Participants: Scholars and graduate students attending the World Shakespeare Congress. introduce participants to the resources, research tools and new pedagogical possibilities afforded by the MIT Global Shakespeares digital performance archive and research space located at http://globalshakespeares.mit.edu/ The project provides global, regional, and national portals to Shakespeare productions within a federated archive. There are portals to Shakespeare performances in the UK and North America, the Arab World, India, Asia, and Brazil, containing full videos and video highlights. 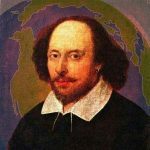 work with practitioners or users of digital Shakespeare archives and participants without any experience but are curious about new pedagogical possibilities; to brainstorm about the practical and theoretical implications of a broad range of digital Shakespeare projects including video and textual archives. What can one do with these digital tools that has not been possible until now? Are there any limitations or drawbacks? What critical resources might we bring to thinking about the place of the archive in Shakespeare studies today?